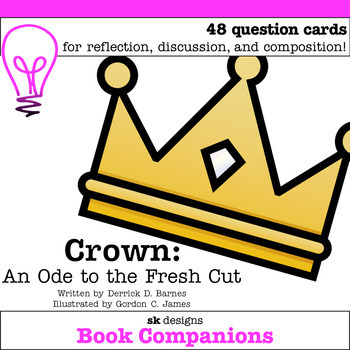 This product includes 48 discussion question cards for the book Crown: An Ode to the Fresh Cut by Derrick Barnes. 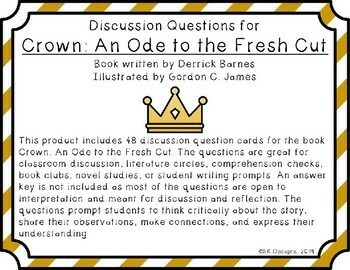 The questions are great for classroom discussion, literature circles, book clubs, novel studies, or student writing prompts. An answer key is not included as most of the questions are open to interpretation and meant for discussion and reflection. 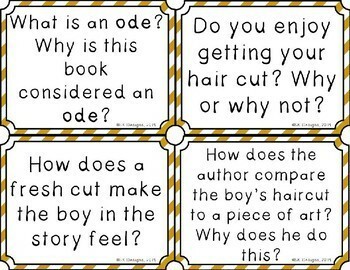 The questions prompt students to think critically about the story, share observations, express their understanding, and make connections.